With the Christmas holidays fast approaching the annual dashes around the local shopping outlets are sure to commence if they haven’t been endured by shop owners already! Some parents you see rushing around in some form of mad frenzy to buy the latest gadget, games console or mobile phone for their children, others hurriedly buying gifts without much thought or consideration as time is of the essence. Looking back five years to 2010, it is amazing to see the technological advances that have evolved in such a short period of time – some gifts that were bought as recent as last year are deemed surplus to requirements and subsequently tossed aside. At times it seems you must have the latest version of the latest gadget to be worthy of social acceptance in today’s society. From a sporting and coaching perspective advances in technology, equipment and facilities are gradually growing much like in the retail industry. This is good news – our players have the privilege and opportunity to take full advantage of modern day advancements; facilitating, even accelerating their development and performance. Or is it? I had a conversation with a fellow colleague last week, during which we both expressed major concerns with the general attitudes of players despite the fact we coach in completely different sports. We both were shocked at the laziness and lack of persistence by some players when things got tough, and also by the arrogant attitude and persona they demonstrate to their peers and their coaches. They act as if everything is expected, or should be on a plate for them with little input required. The most worrying aspect however – they are completely oblivious that this is undesirable behaviour; indeed this was the way that they have acted throughout their upbringing and how they have approached life to date. The question I raise at this point therefore – are modern day advancements acting as benefits, or are they actually having a far more negative effect? With physiotherapy, psychology, performance analysis, state-of-the-art facilities and top level coaching more accessible how much are our athletes having to work for success? Do they recognise that perseverance, endeavour and high standards are the foundations to success rather than ability and status? A key word mentioned earlier was privilege – it should be a privilege to have access to all of the aforementioned sporting resources, not something which is expected. 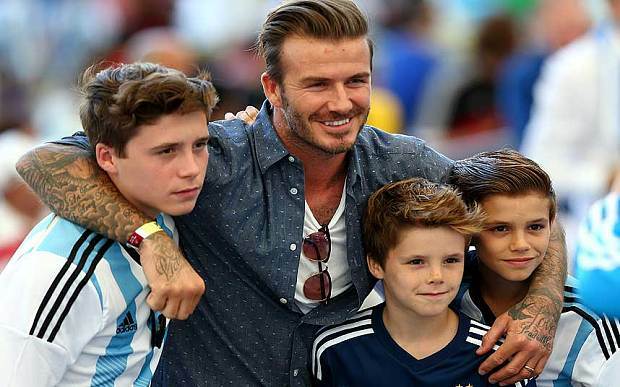 Despite being a Liverpool fan, I have no qualms using David Beckham here as an example. Beckham who at the beginning of October was thought to have a net worth of $770 million, is one figure in today’s society who seems to recognise this. In May last year, instead of dipping into his wallet to buy son Brooklyn a new pair of £40 football boots he insisted his 15 year old son learnt them by getting a job. Think what attitude Brooklyn would have approached life and sport with, had he not had to work for them! Now that’s not to say you can never buy your son or daughter a new tennis racket, or a new cricket bat or some new running trainers – but also consider the impact the gesture will have on them. Anyone that has read Daniel Coyle’s The Talent Code will also be familiar with the African and Brazilian soccer hotbeds that produced the likes of Pele, Juninho, the Toure brothers, Dider Drogba and Samuel Eto’o to name a few. 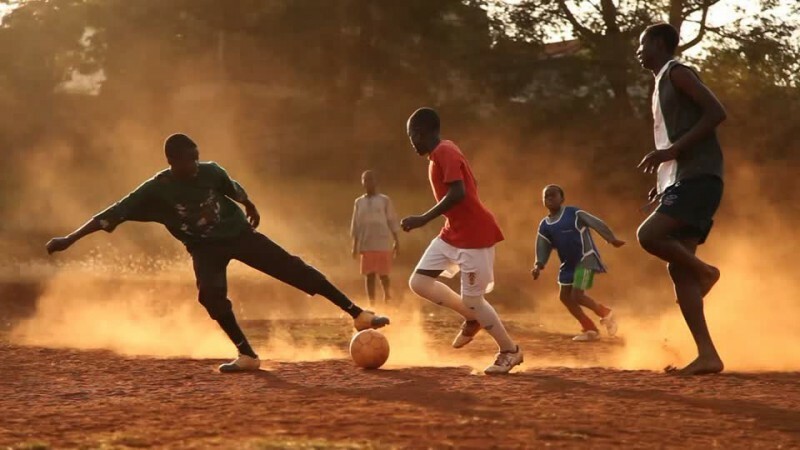 As scholars you had to play barefoot despite the rough and barren terrain; only once you were worthy enough to take and pass the tests set forth by the coaches could you have the honour to be presented with boots. Those that were not ready still had to play with and against those that wore them. As a 12 year old it took Salomon Kalou, two years to earn his boots, and he still wears the scars on his feet to this day. They are a reminder for him, a symbol that success comes at a price. Whilst this is again an extreme example the cultural differences are certainly food for thought. How many of our modern day players would cope with doing this? Many are used to having things put on a plate for them, used to being in their comfort zone, used to having things their own way. In some parts of the world playing sport could be your only way of earning a living, so people train for their lives literally. They will do anything and everything it takes to become the best, because they have no other choice – that was indeed the case for Luis Suarez if you read his book. So next time you’re coaching, you may not find yourself in the nicest of facilities or with state-of-the-art technology and equipment. Instead of seeing the negatives of this, recognise the positives. Make your athletes realise that it can actually be a lot better to not have everything than to have it all. Who knows? You might see a change in attitude. Previous The ‘Wall Street’ of Coaching: What’s Your Stock Price? Next Unsung Heroes: Are team players becoming an endangered species?